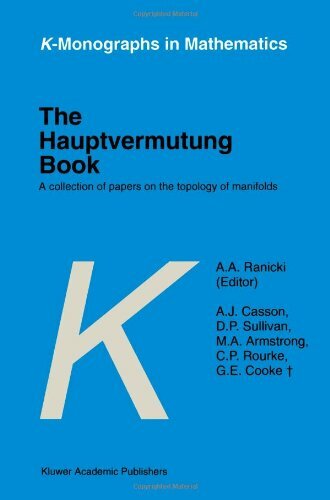 The Hauptvermutung is the conjecture that any two triangulations of a polyhedron are combinatorially equivalent. This conjecture was formulated at the turn of the century, and until its resolution was a central problem of topology. Initially, it was verified for low-dimensional polyhedra, and it might have been expected that further development of high-dimensional topology would lead to a verification in all dimensions.